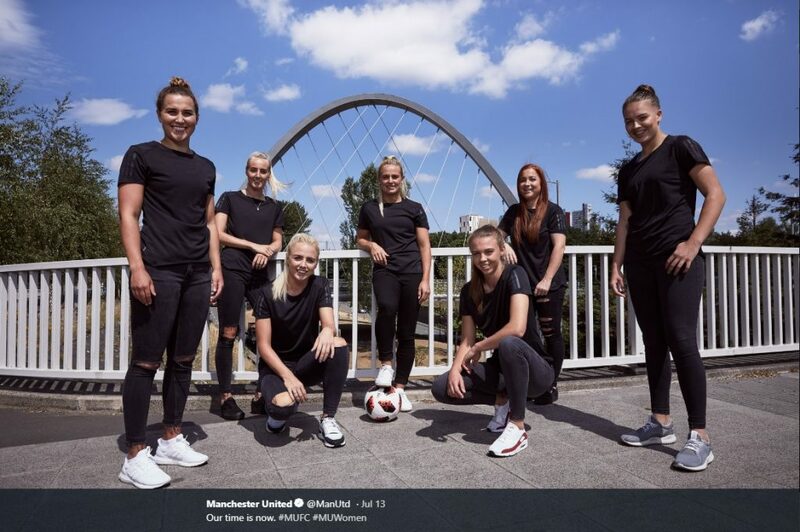 Over the past few weeks, we’ve been trawling the top three tiers of the newly re-branded women’s pyramid to get the lowdown on the atmosphere, expectations, horrors and delights of pre-season 2018/19 – from the on-field talents putting in the hard yards, to the coaches barking the orders and shaping their teams. 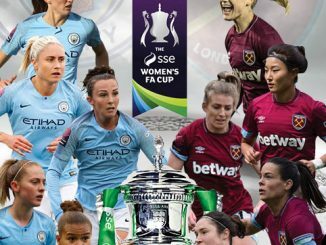 You can read our FA Women’s Super League previews with players and managers in the brand-new SK49. AT: The off-season was a lot of fun; I travelled to Orlando and Miami. I’m a big Harry Potter fan so Universal Studios was one of the highlights of the trip. I didn’t get much of a break last summer as I was injured, so a little switch-off was needed to recharge the batteries. MH: I just chilled for the majority of it and caught up with my friends and family. I also went to France to meet my mum and dad with my nieces, nephew and big sis. I did some running and still was going to the gym a few times a week. MH: I was really excited to see all the girls, but a bit anxious as I didn’t know all of them! MH: We did a couple of team-bonding exercises then started with some small matches. SK: As you’re all new, any initiations to look forward to? AT: No initiations as such but we’ve done lots of great team-bonding exercises as a group of players and staff. From boxing classes to training with the army, and even high wire exercises. It’s been tough and definitely out of our comfort zones but we’ve learned things about ourselves and our teammates that will put us in good stead for the season. AT: Lizzie Arnot is a Duracell bunny; she never stops running! Followed closely by Lucy Roberts. They both smashed the fitness testing in pre-season. AT: The best thing about being back for me is training regularly again. It’s no secret that I’ve struggled with injury in recent years but I’m in a great place now and really enjoying my football. Both physically and psychologically I believe that I’m in the best place now than I’ve been in my whole career. SK: Who’s been the comedian, making everyone laugh? AT: We’ve got a few characters on the team. 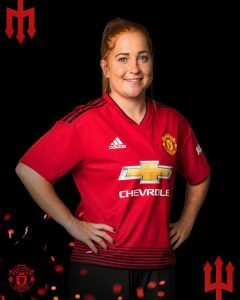 Charlie Devlin is probably the joker and her dance moves are something else. Millie Turner is like an excitable puppy and her positive energy is contagious. AT: Sio Chamberlain is my car-share buddy. We love a good natter on the way to training. MH: Katie Zel (Katie Zelem) or Charlie are the chattiest. 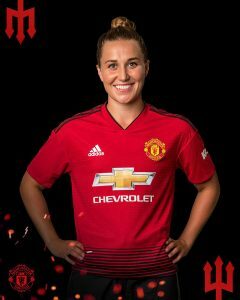 AT: Lauren James always wears the latest trends – I think she’s spent 90% of her time at the Trafford Centre since moving up to Manchester! AT: The Scousers, Alex Greenwood and Mollie Green, are renowned for their beauty regimes. I would also put Katie Zelem in that category. They all look great, may I add! AT: Our attacking play is scary at times. 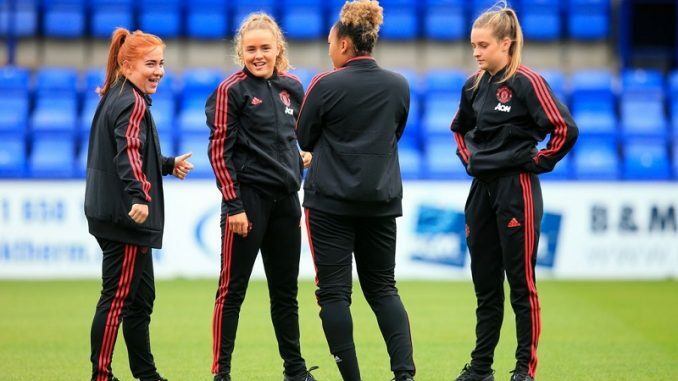 We’ve got a really good blend of strength and power – Jess Sigsworth, Kirsty Hansen and Leah Galton – with the creativity and intelligence of our technical midfielders, of which there are many. Each forward challenges me to become a better defender in training. MH: I think all the girls are looking in good shape and form. Everyone is really competitive so we all want to be the best and win. Sometimes we get too competitive! MH: I personally want to stay injury-free and get a good run of games. The past couple of seasons have been up and down for me with injuries so I want to be in the best shape I can be. AT: I think for me it’s about learning as much as I can this season. I feel that I’m in a very privileged position to be at this great club and to be working with some of the best coaches in the game. I think the next few years are really important for me to push on and show people what I am capable of, surpassing the player I was before my injury. MH: Amy Turner is obsessed with Harry Potter. MH: My dad (former Lincoln Ladies and Doncaster Rovers Belles manager Glen Harris) – 100000% (SK: we calculate that at 100 thousand percent…not bad at all). AT: Our home ground looks great! We play our first home game against Reading next week and we can’t wait! There’s a real buzz about the place and we are keen to make it a fortress for the season ahead. MH: It’s a really nice stadium, and the pitch looks like a carpet. 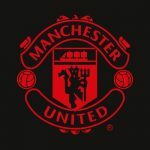 AT: You can expect a style of football that emulates the traditional Manchester United way; possession that is dynamic and attractive, togetherness on and off the field, plenty of goals and most importantly a ‘never say die’ attitude.